Our Services are Free to Buyers. Apollo Beach is located just south of Tampa and is a one of the most recent developed communities in Hillsborough County. It’s a superb waterfront community that has many types of beautiful homes for sale in Apollo Beach. Residents of Apollo have access many miles of inlets and canals, and can enjoy boating and fishing all year round. 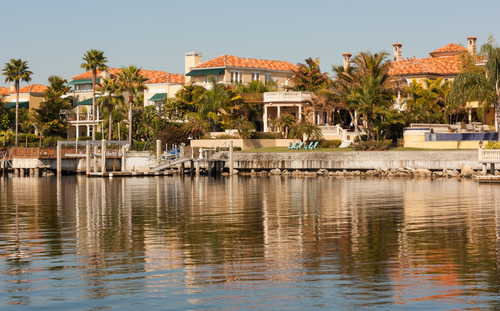 A great number of homes have boat docks and water access to canals that lead into the bay. Brandon is the nearest city nearby and also has many beautiful homes for sale in Brandon and known for great shopping and fine dining. The communities are only a short commute to downtown Tampa and many of its areas attraction like the Bush Gardens, Raymond James Stadium and Florida Aquarium. These master planned communities are loaded with amenities like community swimming pools, tennis courts, golfing and restaurants. If you and your family are looking for a home in a wonderful water front community, then Apollo Beach deserves consideration. For more information on Apollo Beach, Neighborhoods, Waterfront Communities and Homes for sale in Apollo Beach, click on Apollo Beach Home Search.